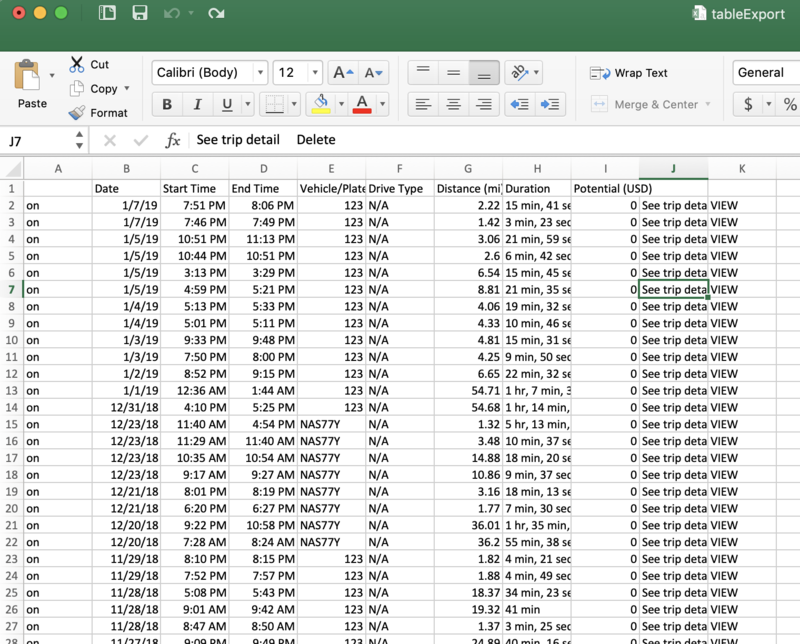 Here's how to generate a CSV report of all your drives. 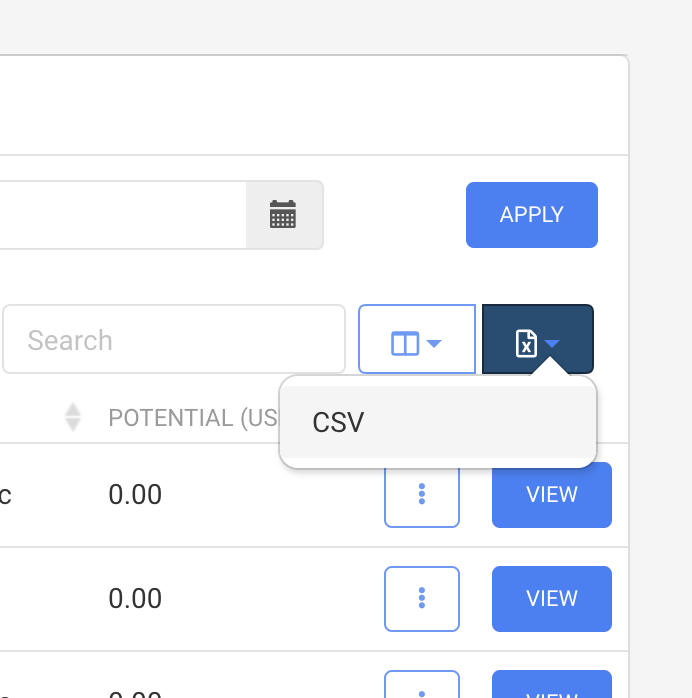 CSV files are comma separated value files and often used with Microsoft Excel. 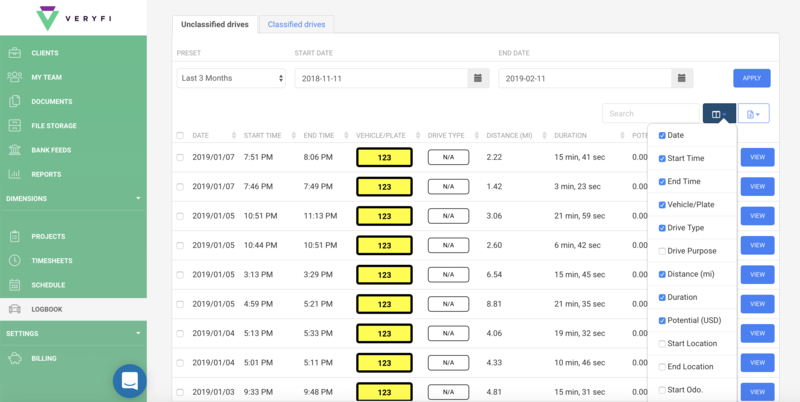 Go to Logbook section https://hub.veryfi.com/logbook/?is_classified=0 (note the tab Unclassified and Classified drives). Also make sure the date range is the correct on you want the data on. If not, then change the Preset or Start/End Dates and hit Apply before continuing with the next step.